The Mountain Cattle Alliance is encouraging the production of higher quality beef cattle that can command a higher price in the marketplace. The alliance is purchasing equipment and supplies necessary to help members meet national Beef Quality Assurance program standards. 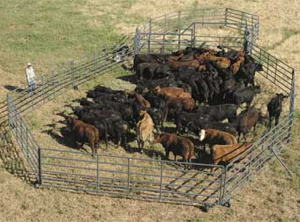 Members are establishing a portable corral unit for dehorning, castration and inoculation, and offering its use to medium-size farms (25 to 50 head). They are also establishing local clinics where small farms with fewer heads will bring their livestock. This project may increase the number of BQA cattle in the region by 7,500 head, resulting in $300,000 in added livestock value each year.